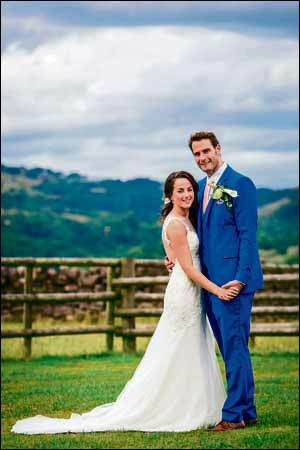 NICOLA Jaffa and Daniel Sandford were married at Heaton House Farm, Macclesfield, by Holy Law Synagogue’s Rabbi Yossi Chazan. Nicola, an oral surgeon, is the daughter of Mirelle and David Jaffa, of Prestwich, while Daniel, a project manager at Amazon, is the son of David Sandford, of London, and the late Marilyn Sandford. Bridesmaids were the bride’s sister, Erica Salkie, along with Clara Thomas and Lida Arjomand. Best men were Andrew Tucker, Robert Rothman and Adam Silver. Joining in the celebrations were guests from Israel and Australia. After a honeymoon on the Amalfi coast, Italy, the couple have settled in Whitefield. 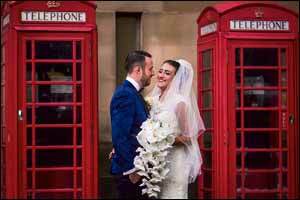 JADE Jacob and Scott Simons were married at Heaton Park Synagogue by Rabbi Daniel Walker. Jade, a merchandiser, is the daughter of Yolande and Syd Jacob, of Manchester, while music manager Scott is the son of Leona Simons, of London, and the late Peter Simons. CAMILLE Scott and James Landes both had more in common than they realised when they began chatting online a few years ago. At the time, Camille was living in London and James, in Australia. Both of them later moved back to their home city of Leeds and started dating in July, 2014. They discovered that Camille's grandfather, the late Jack Farber, and James' grandfather, the late Sam Coleman, went to school together in Manchester, and served in the Royal Air Force. And Camille's mother, Pippa, and James' mother, Janet, were at King David Junior School together, as well. 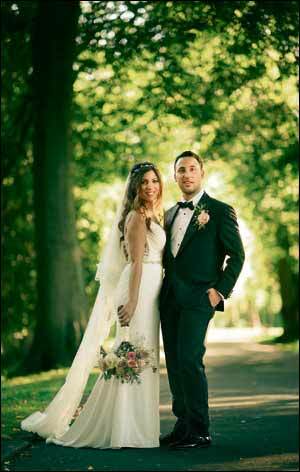 Four years later, Camille and James were married at the Crown Hotel, in Harrogate, by rabbis Jason Kleiman and Mendel Sufrin. Camille, a make-up artist, is the daughter of Pippa and Raymond Scott, and media sales executive James is the son of Janet and Michael Landes. Both Pippa and the Landes family are originally from Prestwich, in Manchester. After a honeymoon in South Africa and Mauritius, the couple have settled in Leeds. IT’S a good job Deborah Lester went to study at Nottingham Trent University — otherwise she may never have met Aaron Levin, a native of the East Midlands city. 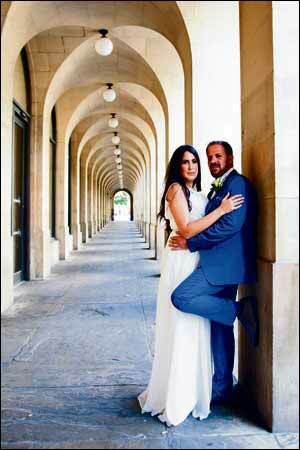 The two got together four years ago and were married at Manchester’s Midland Hotel by Heaton Park Hebrew Congregation’s Rabbi Daniel Walker. Trainee teacher Deborah is the daughter of Neil Lester, of Prestwich, and the late Beverley Lester, while Aaron, who works in sales, is the son of Helen and Paul Levin, of Nottingham. Best men were the groom’s brothers, Aden Levin and Asher Levin, and the bride’s brother, Simon Lester. Bridesmaids were the bride’s niece, Brooke Lester, and cousin, Tallulah Abelson. Pageboy was the groom’s nephew, Noah Levin. Joining in the celebrations were guests from America and Israel, as well as the bride’s grandparents, Hilary and Marshall Gellman. After a honeymoon in Majorca, the couple have settled in Prestwich.